Ando Hiroshige, Ken Temple in the Fukugawa District from Famous Views of Edo. 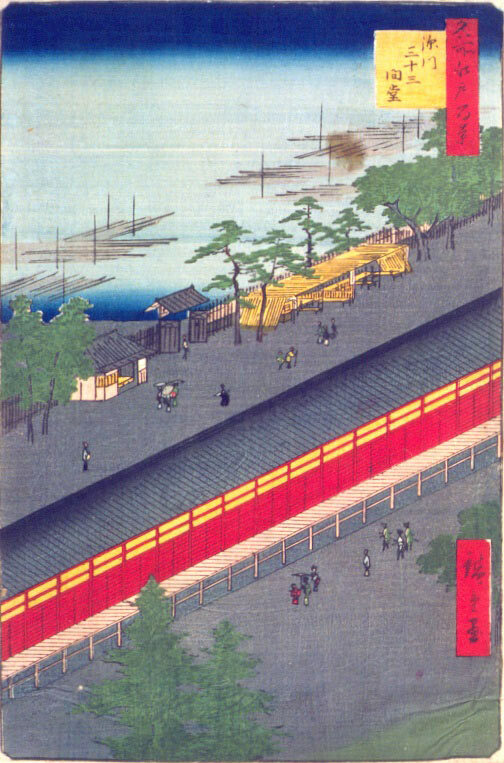 Woodblock print, 19th century. Collection JCMA; gift of Quayton R. Stottlemyer. Jane Etcitty, Chief’s Blanket, Third Phase pattern textile. Wool, 20th century. Collection JCMA; gift of Edwin L. Kennedy. What motivations and styles are common to human expression, and what ones are culturally unique? Drawn from the Museum’s collection, paired objects from different cultures encourage conversation about the languages of art. 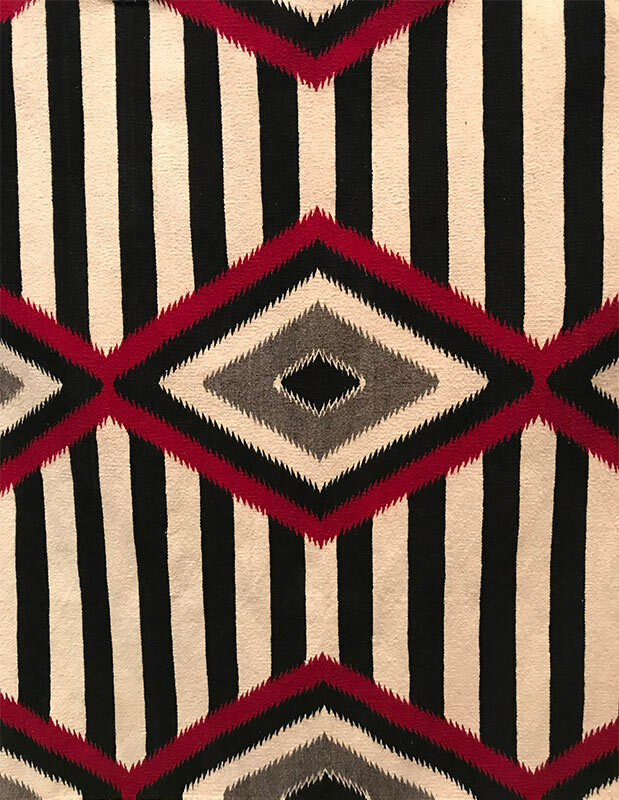 See a rotating selection of rarely shown Navajo textiles and Japanese prints in visual dialogue.